The selective removal of carious tissue is a technique of managing shallow, moderately deep, and deep carious lesions according to current scientific evidence. It aims at preventing pulp exposure while successfully restoring a tooth that has a moderate to very deep carious lesion, where the tooth has no signs or symptoms of irreversible pulp pathology. The rationale behind this technique is that the microorganisms, in the carious tissue left behind during selective removal, are deprived of micronutrients from the oral cavity when the carious lesion is hermetically sealed. The microorganisms then become less potent thereby slowing down or arresting the carious process. This leaves the pulp-dentinal complex with conditions that are favorable for depositing reactionary dentin over the pulp. These strategies have the advantage of being conservative thereby decreasing the likelihood for more invasive and stress-inducing procedures in children. Both techniques are elucidated in primary and immature permanent teeth. High-resolution intraoral pictures along with supporting long-term follow-ups describe the procedures step-by-step. 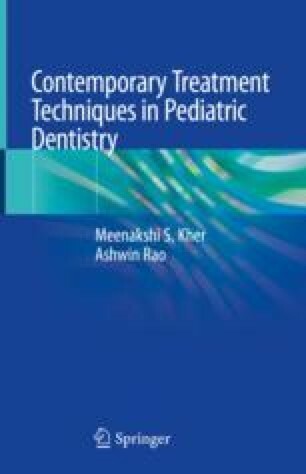 Detailed discussions of case selection, indications and contraindications, and practical clinical tips make this chapter a must read for the study and practice of contemporary pediatric dentistry.